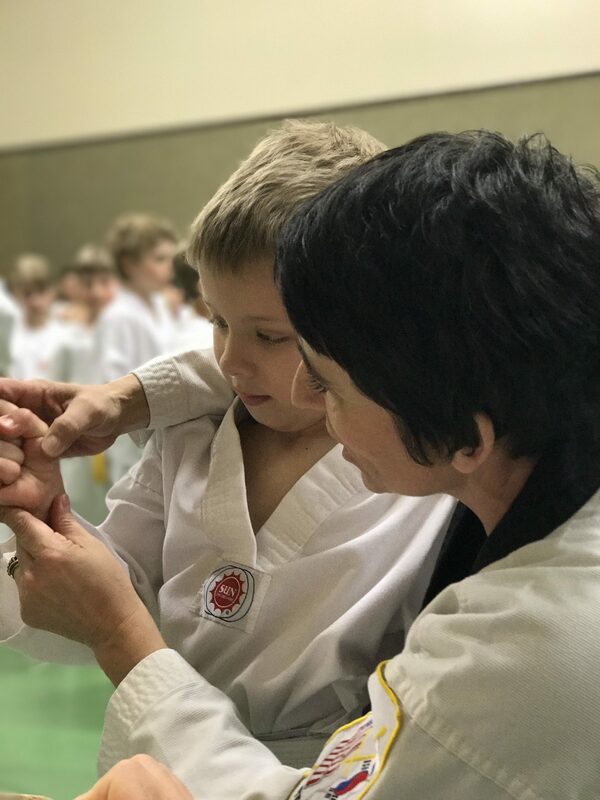 In a self-defence program, children are constantly learning new skills, and each one is a little more challenging than the one before. Not everything is easy and developing these skills can take practice. But developing new skills leads to confidence and pride in one’s abilities. A good instructor is also praising children for their effort and good work which builds confidence. Mastering new skills, such as physical abilities and self-defence techniques, requires assertiveness, tenacity and determination. Kids have to be prepared to give it a go, keep trying, work through failure, try harder, see others succeed, make small improvements, until they experience success. Listening and following instructions are fundamental aspects of a self-defence program, and a good self-defence program is going to place a lot of emphasis on teaching children to ‘speak up for themselves’. In a physical program that encourages movement, it is easy to reinforce why we need to eat well to give our bodies fuel for playing. And a good self-defence program is also an opportunity to teach anatomy (left, right, body parts etc) and hygiene (cut your fingernails, wash your hands etc). Children learn to use their eyes and their ears to be aware of their situation, for instance, aware of the road and cars, or keeping close to mom and daddy. This is the most important aspect of self-defence for kids. If they are aware of themselves and aware of things that could mean danger, they have the best chance of staying safe. And finally, a good self-defence program will be holistic. After all, there is not much point teaching a child self-defence if they don’t know to stay off the road. Through self-defence, we can develop a child’s awareness across a broad range of safety topics, including road safety, water safety, sun safety, electricity, burns, etc and of course, stranger danger and concepts of personal body protection (eg from my top to my toes, I say what goes). That’s 10 amazing benefits from teaching kids self-defence. Find a good instructor and get started today! Keeping Kids Hydrated, And Yourself!